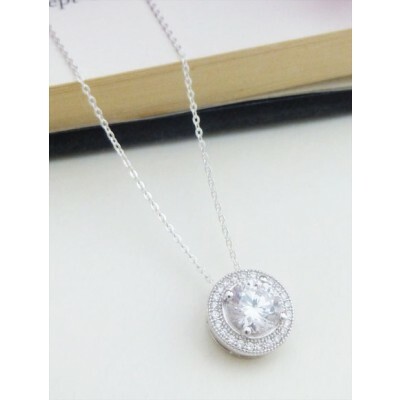 The Poppy cubic zirconia circle pendant necklace is fun and full of sparkle. 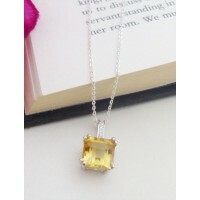 A perfect necklace for a big night out with a design that will match almost any outfit. 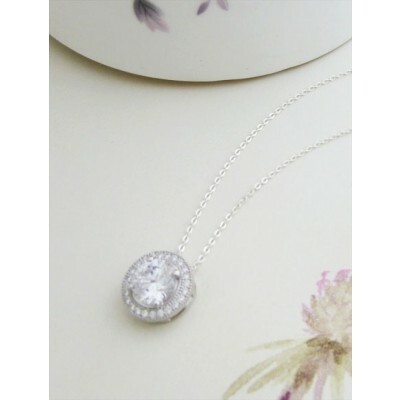 The Poppy features a circle of cubic zirconias as the main element of the pendant set in hallmarked sterling silver, a great design that is perfect for any lady that loves silver necklaces and wants some sparkle and dazzle in her collection. 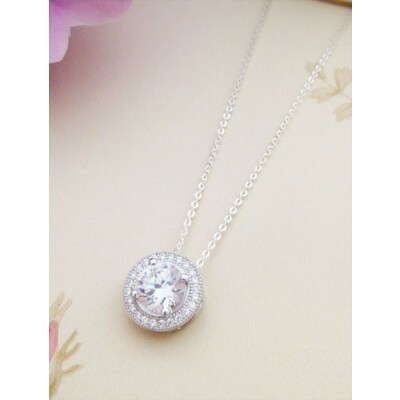 Featuring 18 CZ stones that are cut for sparkle, this circle pendant necklace is on trend, ideal for any age and has a great look on with a stunning black dress. 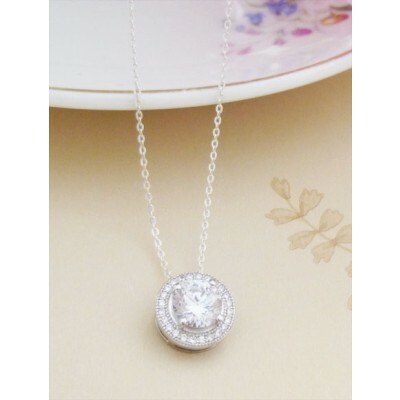 The Poppy CZ pendant necklace is made from CZ stones set in 925 sterling silver that is hallmarked in the UK. The sterling silver chain is available in three different lenghs, comes with free UK delivery and is a great gift for a glamorous lady! 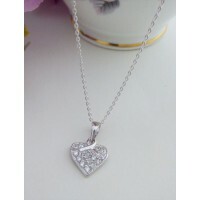 The Poppy CZ necklace is made from CZ stones set in 925 sterling silver. The sterling silver chain is available in three different lenghs.